A 72-hour span last week was among the most momentous for the Federal Reserve in the over 100-year history of the U.S. central bank. Many Fed watchers would be completely baffled by that statement. 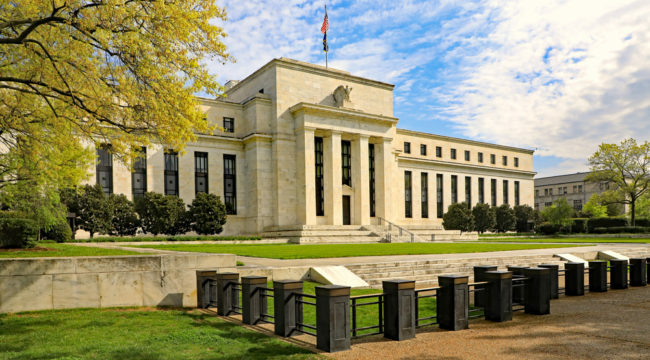 Fed watchers are mesmerized by minute changes in grammar and syntax contained in the statements of the Federal Open Market Committee (FOMC), the Fed group that sets interest rates. At the last Federal Open Market Committee (FOMC) meeting, on July 26, the Fed did nothing. The Fed’s Jackson Hole, Wyoming, summer meeting came and went at the end of August with scarcely a word said about interest rate policy. The next FOMC meeting is not until Sept. 20. In short, we’re in the midst of a rare period when nothing seems to be going on at the Fed in terms of rate policy. How could last week have possibly produced a momentous 72-hour period? The answer is that institutions boil down to people, not calendars, and Fed people have just made a lot of headline news. Last Tuesday morning, Sept. 5, Fed governor Lael Brainard delivered one of the most significant Fed speeches ever. Translating from Fed-speak to plain English, she more or less admitted the Fed has no idea how inflation works. The Fed’s favorite measure of inflation plunged from 1.9% to 1.4% between January and July 2017 even as job creation continued and the unemployment rate fell. In other words, the relationship between tight labor markets and inflation turned out to be the exact opposite of what the Fed believed. Their models are in ruins. The first part was the use of forward guidance to signal that Fed rate hikes were on hold indefinitely. This is a form of ease relative to market expectations of further hikes. The second part was to raise inflationary expectations by making public statements about the forward guidance. This is similar to the “Think System” used by Professor Harold Hill in the musical The Music Man. Hill is a con artist who sells instruments to school kids. He can’t teach music but tells the kids if they will “think” hard enough, they can play! Brainard says if we all think inflation is coming, it will come. Her odds of success are about the same as Professor Hill’s, who is almost run out of town by an angry mob. The third part is the most interesting. The Fed has a “target” of 2% inflation but has implicitly treated the target as a cap. Brainard said, in effect, that if your target is 2% and you’ve been below that for five years, it’s OK to run above 2% so that the long-term average hits the goal. This means she’s OK with 3% inflation, a sentiment also expressed by Chicago Fed President Charles Evans. Inflation at 3% cuts the value of a dollar in half in 24 years. Brainard and Evans think the Fed can dial it back if needed, but 3% inflation could just as easily turn into 4% or 5% inflation once expectations really do change. Then on Wednesday morning, Sept. 6, Fed Vice Chairman Stanley Fischer unexpectedly announced his resignation effective almost immediately. He said his reasons were personal, and I actually believe that. I met Stan back in my days at Long Term Capital Management; he was thesis adviser to several of my partners there. I wish him well. But this resignation now means that four of the seven Fed board seats are now vacant. One nomination by Trump is pending (Randy Quarles), but that still leaves three more nominees to fill the board. And that’s not counting Janet Yellen, whose term as chair expires at the end of next January. All in, Trump will get to name five out of seven Fed governors in less than one year after being sworn in as president. I told my readers months ago that “Trump owns the Fed,” and that reality is playing out even faster than I expected then. Finally, last Wednesday afternoon, Sept. 6, the White House leaked to Axios that Gary Cohn, Trump’s top economic adviser and the former chief operating officer of Goldman Sachs, was out of the running to replace Janet Yellen. This also confirms what I said months ago, that Kevin Warsh is the likely next chair of the Fed. This is a complete changing of the guard. The old guard represented by Yellen and Fischer are leaving. A close associate of the old guard, Lael Brainard, has admitted publicly that the Fed models are broken and they have no idea what they are doing. Kevin Warsh and a group of new appointees vetted by Warsh will be the new guard before the end of this year. They are pragmatists, not ideologues like Yellen. Brainard is right about one thing. Disinflation is a serious problem for a country with a 105% debt-to-GDP ratio. Inflation is needed for the U.S. to have any hope of getting the debt problem under control. This means government theft from savers and negative real rates. Warsh and the pragmatists understand this. You should expect lower real rates, slower balance sheet normalization and higher inflation than markets are now pricing. This will not happen all at once, but in stages over the next year.